Reposted with permission from Housely.com; read the full article there. California has some of the highest real estate prices in the country, and it also has more than its fair share of expensive rentals. Financial experts routinely tell the masses that it’s best not to spend more than a third of your take-home pay on a mortgage or rent, but that’s not easy in The Golden State. Even those who have substantial incomes don’t get much for their money compared to other states. Still, if you can spare at least $10,000 and do some hard searching, you can rent a pretty nice pad in California. The house has six bedrooms, seven bathrooms, and is 5,402 square feet — plenty room for anyone who has a family or is sharing a house with another couple (or several) roommates. The living room here is a book lover’s dream with all of its storage options and the layout. In addition, the house sports a master suite upstairs with a corner fireplace, private balcony, step-up tub, dual vanities and a steam shower. Foodies might want to rent this house based on the kitchen alone, which has an oversized center island, stainless steel appliances, dual wall ovens and a breakfast nook. This rental in Dana Point is right next to the beach and has a sunny California flair. This is the place to be if you like bringing the outdoors in, as it has a big deck with access from the upstairs master suite. You can literally go into the back yard and see waves crashing against the sand. 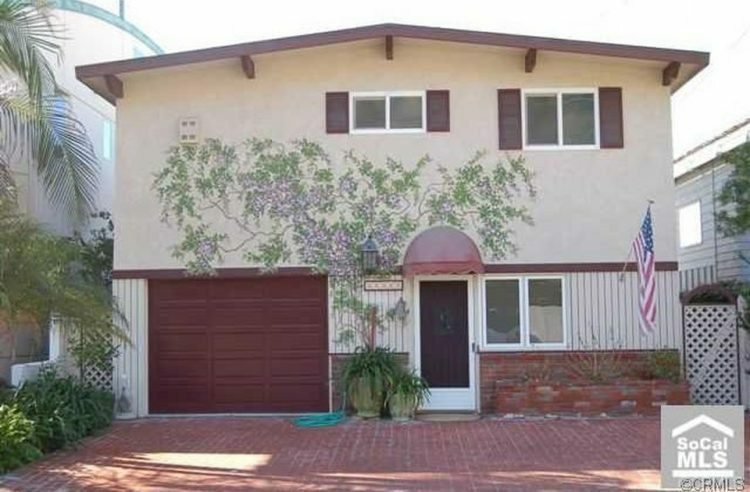 There’s enough parking outside of this house for up to six cars, plus it has a one-car garage. The cost to rent it? $10,000 per month. The three-bedroom, five-bathroom beauty in Palm Desert, California is situated in a neighborhood that’s filled with other luxury homes, palm trees and plenty of entertainment options. The house is a total of 3,869 square feet, and the centerpiece of it is in the back yard, with a big pool, spa and sitting area. There’s also a nice view of the area’s lakes, mountains, and fairways from the backyard, which features a built-in barbecue pit and fire pit. The cost to rent this house is $10,000 per month, but it’s a short term lease. A celeb-worthy home in the Hollywood Hills for less than $10,000 a month? No, it’s not impossible. This rental is $9,995 per month and is quite a sight. Located on 0.85 acres in Los Angeles, this house in the Nichols Canyon neighborhood has four bedrooms, four bathrooms and 3,750 square feet of space. The master suite has a walk-in dressing room/closet combo and spa-tub. The ceilings are pre-wired with surround sound and there’s also a projection screen for movie night. This Rancho Santa Fe house appears to have dual personalities. It has a Spanish style, with classic tiled roof and landscaping much like every other home in the area and throughout the bulk of California real estate. Inside, it’s a serene dream packed with modern details, fabulous archways, and European touches. The bathtub is a beauty in terms of design, and so is the indoor sauna. Outside is a nature lover’s paradise, filled with a pool, gazebo, hammock, and plenty of seating and fruit trees. The home’s 3,464 square feet holds three bedrooms and 3.5 bathrooms, all on 2.76 acres of land. The house rents for $10,000 per month.